The famous mystical power central! “Togakushi Shrine” This shrine was developed as the base for the mountain worship towards Mt. 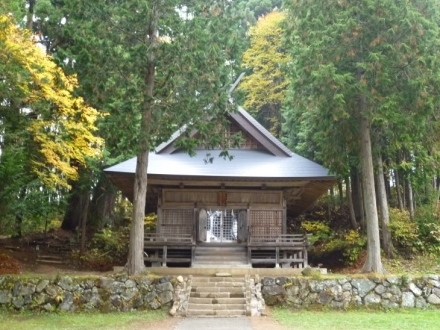 Togakushi. 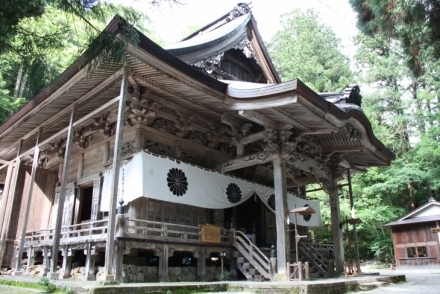 It used to be a temple that assembled a number of pilgrims’ lodgings, and was turned into a Shinto shrine that is deeply associated with deities from the myth of “Opening of Amanoiwato” and was worshiped by many people, after the Meiji period. It consists of five buildings, each named Okusha, Chusha, Hokosha, Kuzuryusha and Hinomikosha. 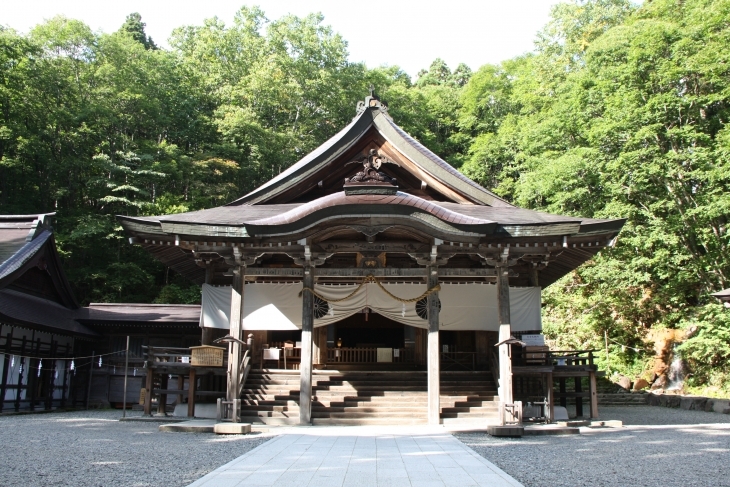 This shrine is dedicated to Amenoyagokoroomoikanenomikoto, the deity of wisdom who came up with the idea of playing Kagura (Shinto music) in order to open the Amanoiwato. 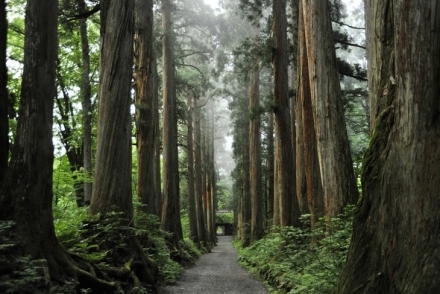 Many worshipers visit the shrine, which holds over 800-year-old triple cedar trees in its precinct. Training and dedication of Daidai Kagura take place in the Kagura hall, which are sometimes open for viewing.